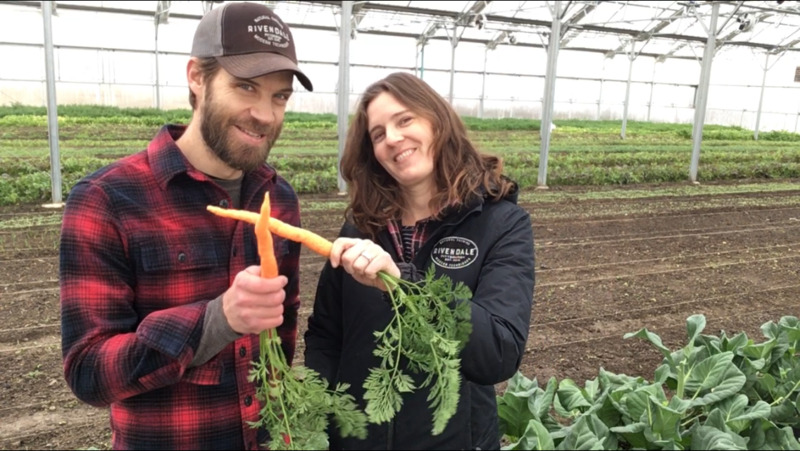 We are so glad you have decided to join the Rivendale Farms CSA for this season. Welcome to you. We hope you enjoy the experience of eating with the seasons and directly from the farm. Our aim is to provide you with high quality, naturally grown products that you can feel great about feeding to your family and friends. If you have any questions or concerns, feel free to reach out. We are always glad to hear from our members. Rivendale Farms is a diversified farm growing with organic practices in Robinson Township, PA, approximately 20 miles from downtown Pittsburgh. The farm consists of approximately 8 acres in mixed vegetables, wheat, herbs, and flowers. The farm also includes Jersey dairy cows and a flock of free-range laying hens as well as mushrooms, honey, and maple syrup production. Entering our third year of CSA on the farm, we prioritize a diverse mixture of high quality organically grown produce. We are excited to make strong and lasting connections with customers in the Pittsburgh area. Thanks for considering a CSA membership from Rivendale Farms.